In the past few months I’ve talked to dozens of engineering candidates and hired a handful of people for art.sy. I’d love to hire more, but being an early stage startup means making difficult choices. My guiding principle for getting an A-team is to get people smarter than me. But even with a bar rising with every hire, I had to say no to very strong developers. This is a luxury, since most companies struggle with attracting top talent. Given magical unlimited funding, I’d hire twice as many as I can afford right now – we have an incredible amount of work. For those that make the cut, but aren’t hired for headcount reasons, I will offer my help to find another startup in NYC. There’re hundreds! Here’s what I ask them to do. Go to http://nytm.org/made/ and make a list of five startups that you would love to work for. Email me the list. I will do my best to make a direct introduction to someone in those companies. I know a lot of people, but I don’t know folks in even half of the names in that list. I’ve been reaching out to friends and trying to use the opportunity of introducing a potential hire to make a connection for myself. It has been a winning deal and I know that a few people are now in late stages of interviewing with some of the most promising New York City startups. And I learned a ton about how other companies build software. If you work for a company on that list and don’t know me, drop me an e-mail (dblock[at]dblock[dot]org) and come visit us at GeneralAssemb.ly. I want to hear about your technology and I’ll show you ours. If you’re considering moving to NYC or are here and looking for a job, don’t hesitate to drop me your resume, you never know. 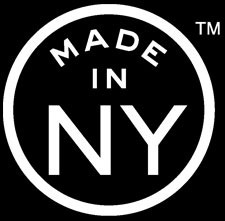 And check out the Made in NYC list. Pick five startups that you would want to work for and e-mail them cold, referencing this post. Moving to New York? All You Need is the Tech Made in NYC List was published on November 02, 2011 . See a typo?